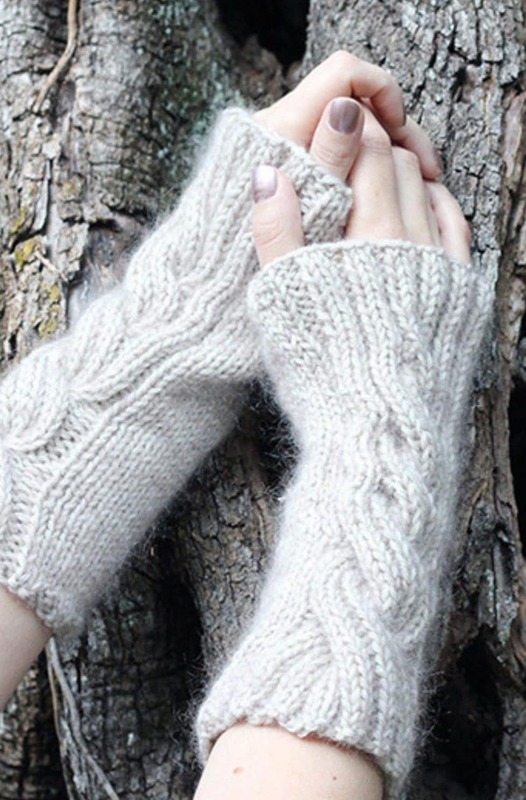 The Claire’s cable knit wrist warmers pattern will allow you to create large twisted cables in an intricate design. I wanted to share with you another free knitting pattern that has been inspired by the TV show Outlander. This is the sixth pattern in my Outlander collection, you can see the first – the Fraser’s Ridge flat knit fingerless mittens here. If you have been watching the Outlander TV series, through all of the seasons, Claire has worn fingerless gloves and wrist warmers. 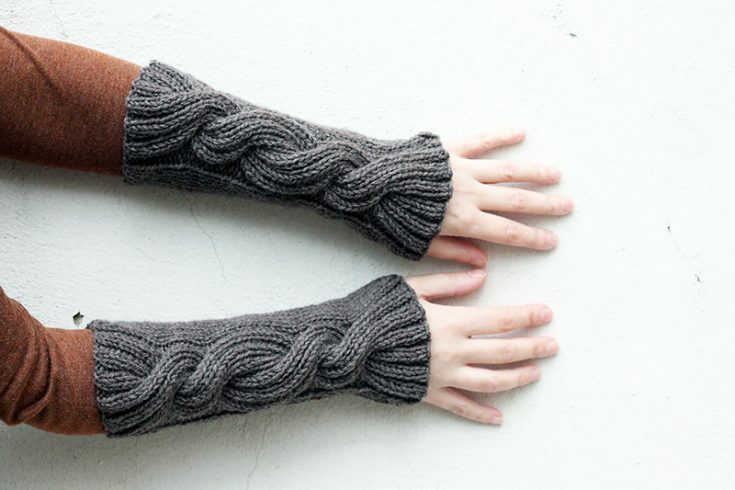 The wrist warmers that inspired this design were knit in a dark brown yarn, so I chose a similar shade in natural wool. The large cables are seen twisting up through the design, fanning out at both the bottom, where the arm is and at the top of the hand. Inspired by Claire Fraser wearing beautiful knitted pieces, the arm warmers are knit flat and then seamed. I knit the left warmer first and reversed the pattern for the right because I wasn’t sure at first if I was going to leave a thumb hole or not. I decided to seam them fully so that they can’t be worn as fingerless gloves. 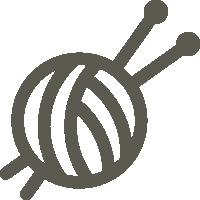 This pattern is for intermediate knitters, as the cable stitch is a little bit more complicated. 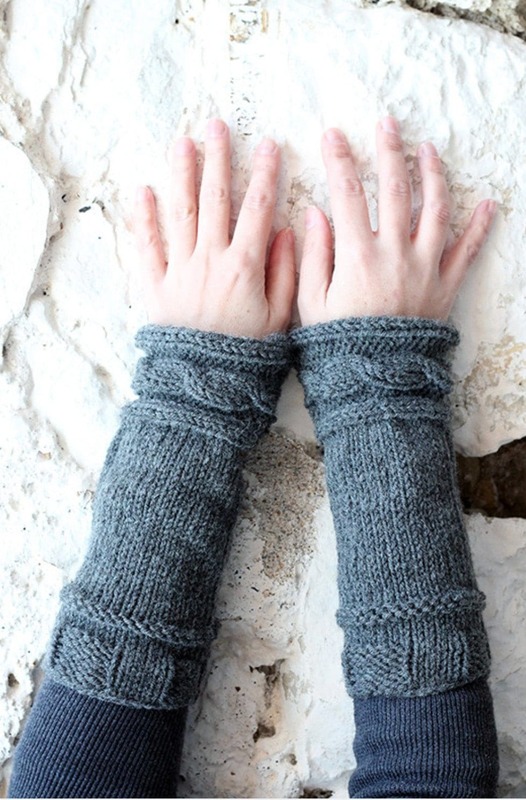 The cable itself is intertwined throughout the front piece of the wrist warmers with a stocking stitch flat piece on the underside of the arm/wrist. The pattern may look a little daunting if you are a beginner who is looking to do something more intricate, but once you get into it, the cables become easy and you start to see it all take shape. Whenever I watch Outlander I just love to look at the costumes and see how beautifully they are pieced together. Claire and Brianna’s costumes have motivated many knitters to make shawls, infinity scarves, and more throughout the four seasons that have aired so far. 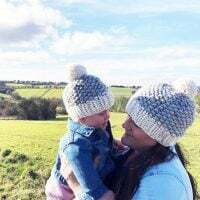 I wanted to make a collection of knits that are inspired by both Claire and her daughter Brianna, from gloves, wristwarmers and scarves. You can see a roundup of Outlander Knitting Patterns here. 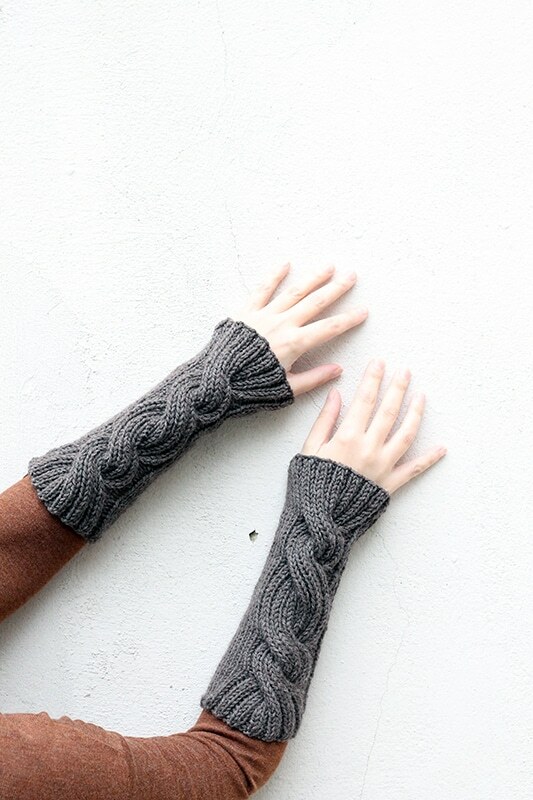 Make this pair of cable wrist warmers with the easy to print out pattern below, then come back and let me know what you think in the comments or leave a review! 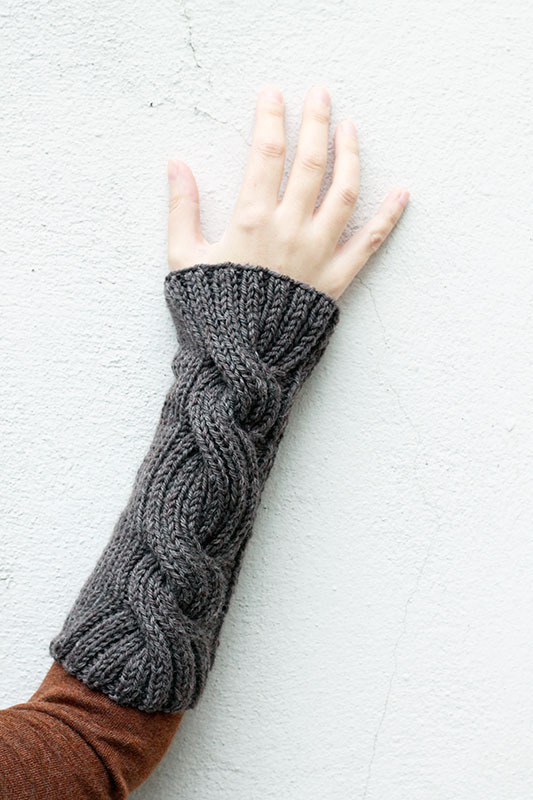 The Claire's cable knit wrist warmers pattern will allow you to create large twisted cables in an intricate design. I used La Mia Natural Wool 100g (3.5 oz) 200m (218 yd) in the colour brown H6. K2, P2 ribbing for 2 rows. Stitch the side seam using the invisible seam stitch. Gauge = 12 sts in 12 rows in 2 inches. C24F - (Cable 24 front) - Slip 12 stitches onto a cable needle and hold in front of work, (k2, P2) 3 times from the left needle, then (K2, P2) 3 times from the cable needle.